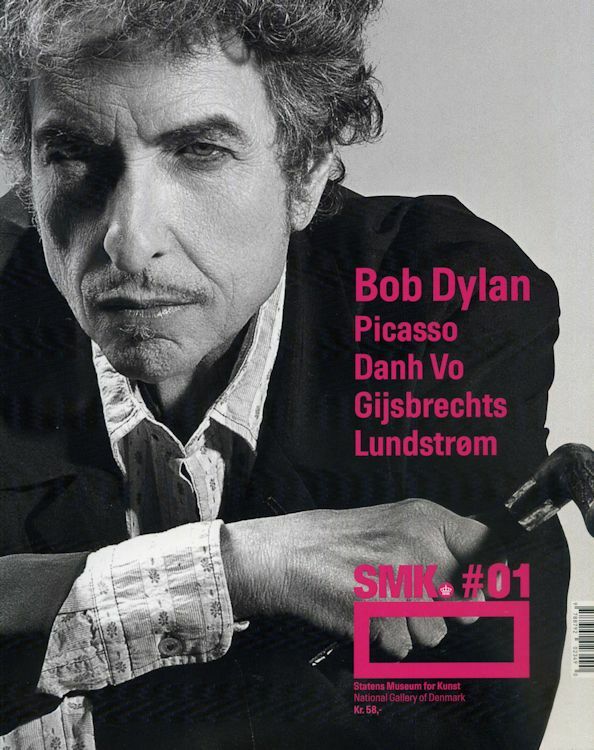 SMK Magazine #01, in connection with THE BRAZIL SERIES exhibition, hold in Copenhaguen 4 September 2010-10 April 2011. "Bob Dylan has recorded his impressions and thoughts while travelling in Brazil, capturing people, events, and places in a plethora of sketches. Back in the US, some of these many scraps of paper served as the basis of The Brazil Series. At the exhibition the audience could experience a whole new aspect of the work of one of the 20th century key cultural personalities. The exhibition presented 40 all-new, never-before-seen paintings created by Bob Dylan specifically for this exhibition. Bob Dylan has been active as a visual artist since the 1960s, or, as he himself puts it: I have always painted."